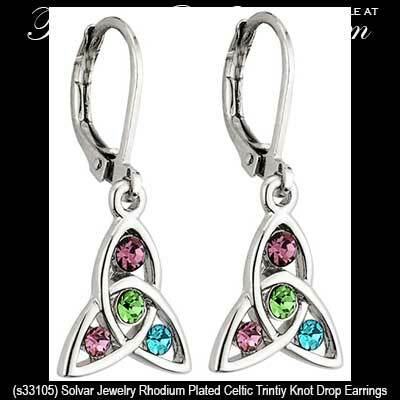 These Celtic earrings are plated drop Trinity knots that are bejeweled with crystals. 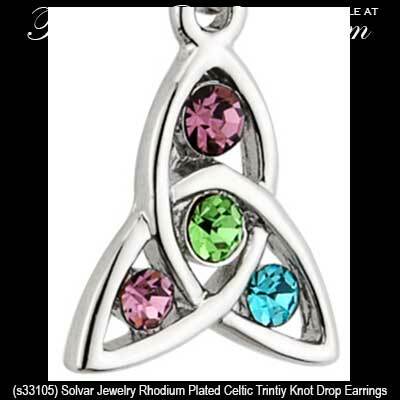 These rhodium plated Celtic earrings feature crystals in the filigree Trinity knots. 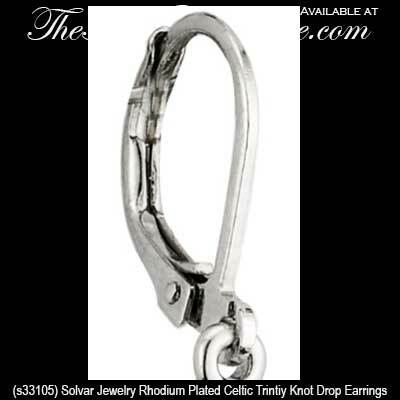 The Celtic earrings are a drop style with latching Eurowires and measure 1/2" wide x 1 1/8” tall.